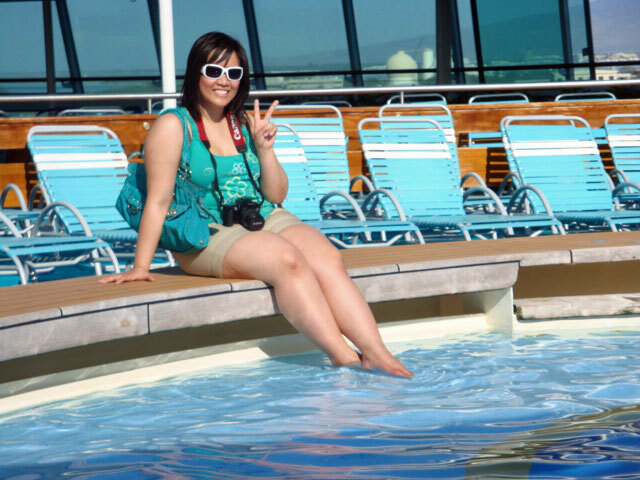 I have sailed several times with Royal Caribbean. This is the cruise line with which I sailed around Hawaii from my previous post. I’d like to share some of my photos from the ship itself, as it truly does become your temporary home as you navigate the waters. 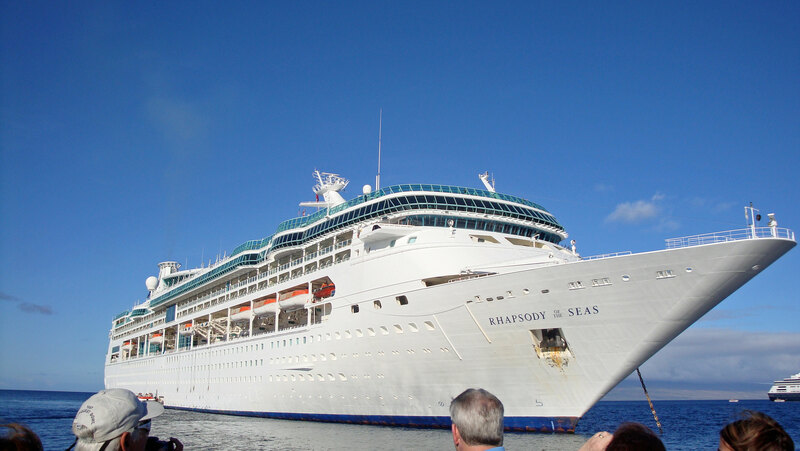 On this particular cruise (the 11-night Hawaiian one), we were aboard the Rhapsody of the Seas. The first thing that comes to mind is the hospitality. We chose a simple interior suite, and each section of the ship is divided among staff members so you get efficient and personalized service for any questions or concerns you may have. One of my favourite touches that Royal Caribbean does is the daily towel animal that is left in your suite as you go enjoy the new port city you are visiting, or simply exploring the ship. Every day you are also delivered a Cruise Compass, which highlights key events happening on board the ship, even on days you are docked in a new city. The Cruise Compass shows you your nightly entertainment in the theatre, if there are any movies being screen, any food or drink specials onboard, and also free classes and workshops. Speaking of towel animals, we were able to attend a workshop where we learned to make a few of them! 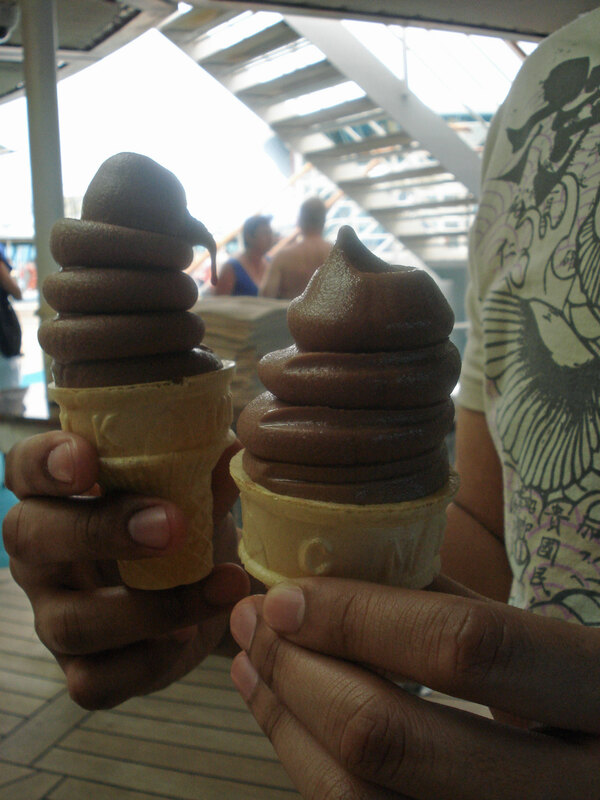 Royal Caribbean does not skimp on details. The Rhapsody is part of the Vision Class fleet of ships for the cruise tycoon. There are 11 decks onboard this ship, and every nook and cranny of this ship features elaborate details and artistic touches that truly complete your cruise experience. You are provided with marvelous views both on the outside deck, looking at the scenery, and in the very heart of the ship as well. 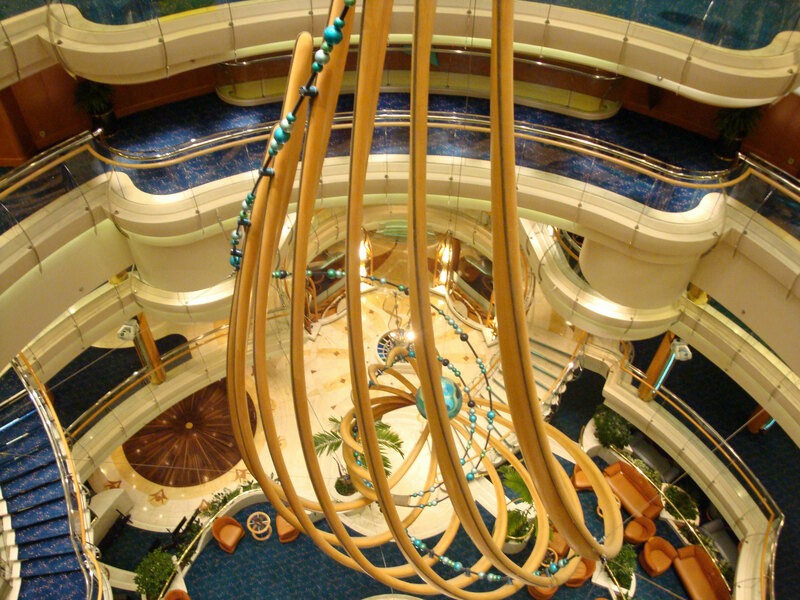 One thing you should know is that a trip aboard any Royal Caribbean ship means you now have access to unlimited food! The infamous Windjammer Cafe serves up international options for breakfast, lunch, and dinner, buffet style. 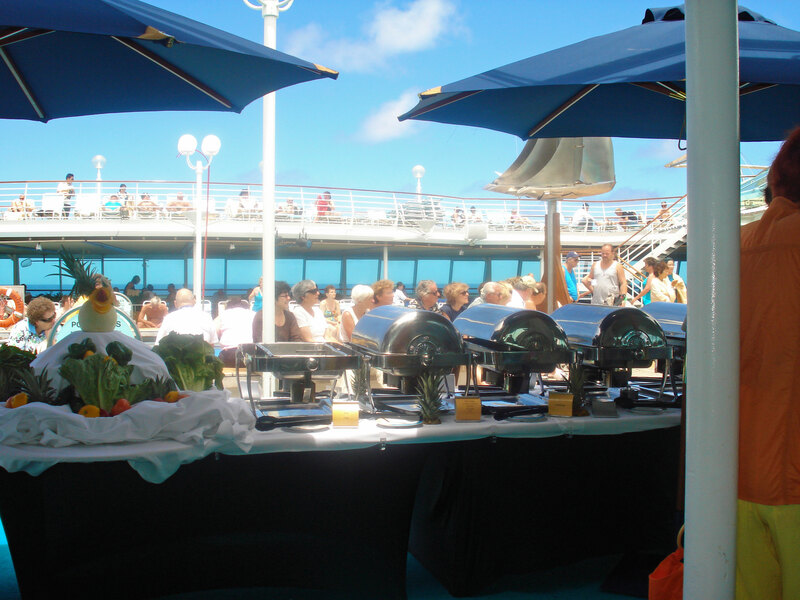 There are also several restaurants on board where you can order dishes, mostly free of charge. Craving a pizza at 2 in the morning? There’s free room service – I’d recommend to just provide a tip! 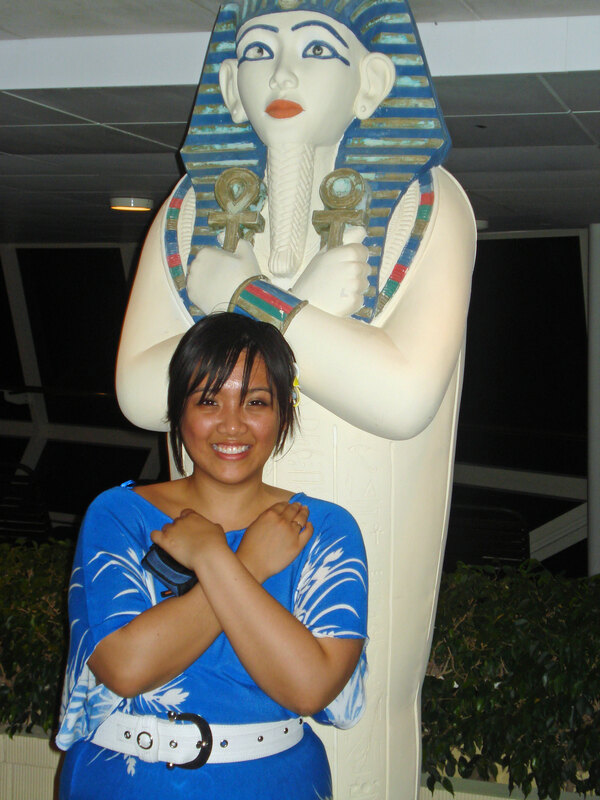 The dinner experience at Royal Caribbean now provides My Time Dining, but back in 2009, this was yet to be an option. My favourite part about dinner is that if you truly couldn’t decide on an entree or dessert, you could literally order both, free of charge! You are also given the same table and servers each evening, so they truly get to know you and make you feel at home during your stay. Make sure you come on an empty stomach! For those willing to pay, there are also restaurants onboard catering to a variety of palettes and providing high quality meals. Royal Caribbean provides guests with a cashless system onboard. You never need to carry your wallet with you – everything is charged onto your account via your room card. The Cruise Compass, as previously mentioned, gives you a daily updated schedule of events so you never miss the fun! 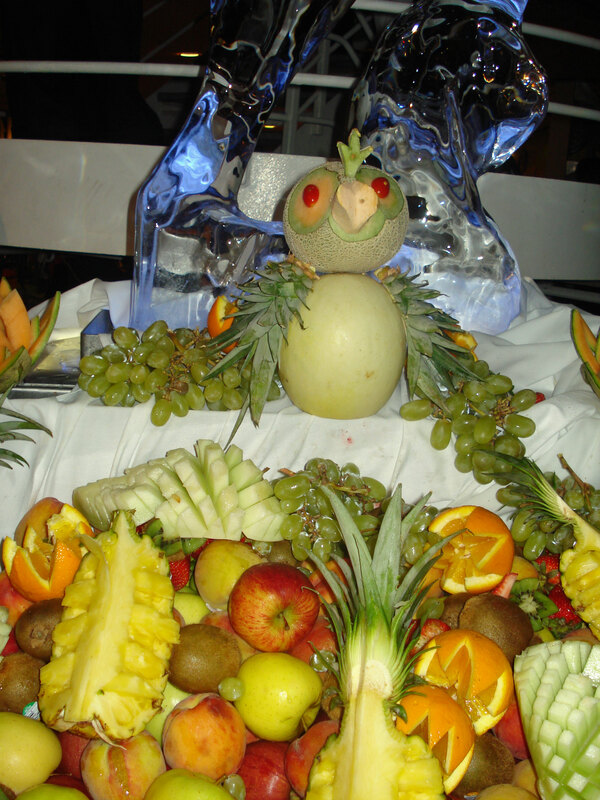 This cruise saw an ice sculpting contest from the staff, waltz dancing classes, caricature portraits, cooking demonstrations, and Hawaiian dance lessons/parties! One day, there was even a pool deck paella buffet. Yum! 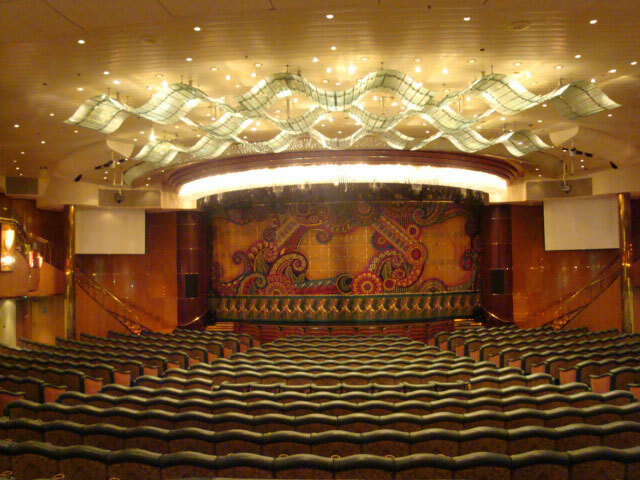 There are also live performances each evening in the theatre and lounges, along with games and contests that guests can participate in. 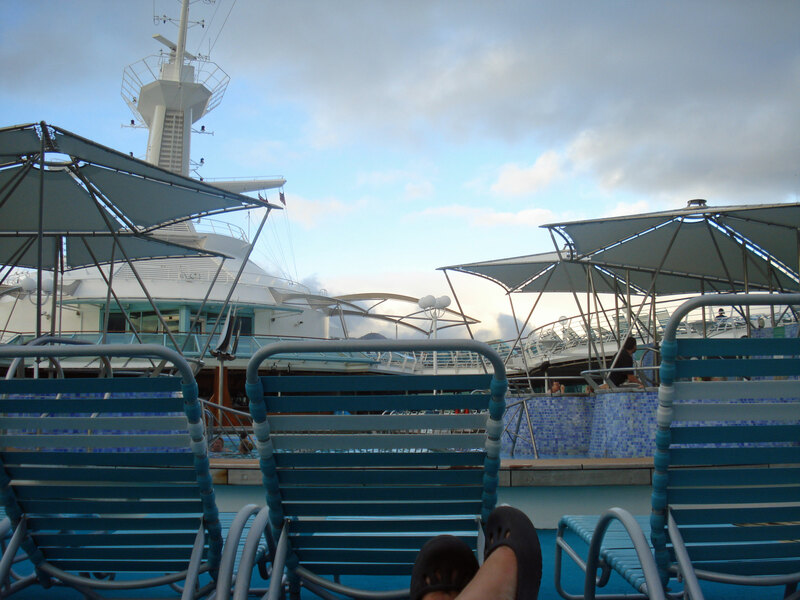 What’s a cruise without spending some time in the pool? There is an adults-only Solarium which is a great refuge away from the noise and business of the main pools. 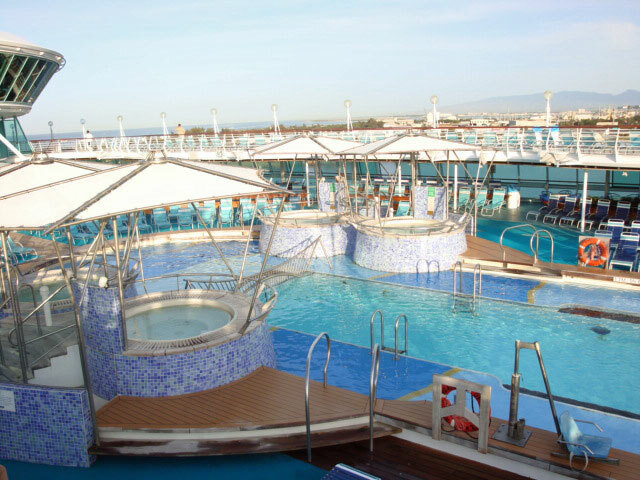 The pools on deck are a great way to cool off, or you can also just lounge and catch a tan on the ample loungers on board. You can also play some shuffleboard on the Rhapsody, and get your daily exercise on their track or in their gym, equipped with both cardio and strength training machines. Give yourself an instant cheat day by finding the ample snacks on the pool deck as well, including my personal favourite, the soft-serve frozen yogurt! Take the time to check out the games room, including a pingpong table which, as you can imagine, is extra challenging as you’re sailing. There is also an onboard Vitality Spa, a rock-climbing wall, and a video arcade. For those traveling with children, there are plenty of complimentary programs for kids of all ages, from the Royal Babies and Royal Tots program, to the Adventure Ocean Youth Program. 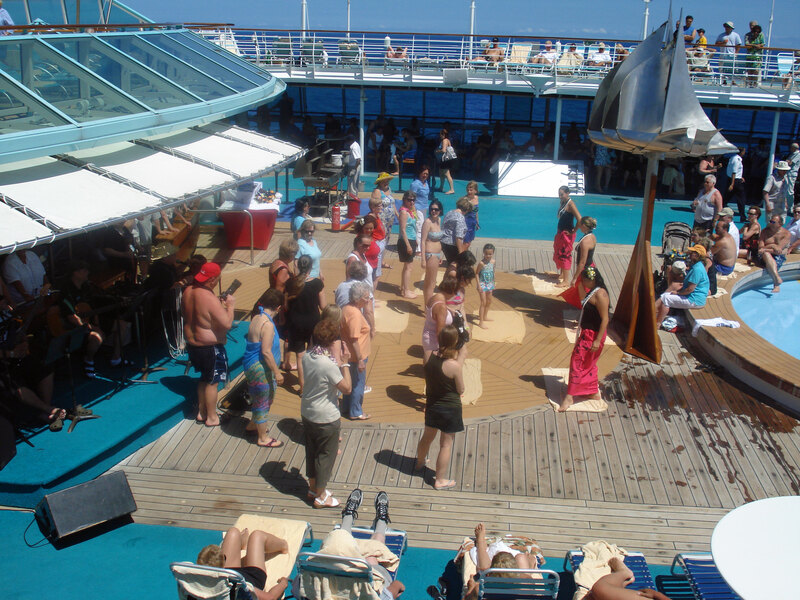 There are also exclusive Teen-Only hangout venues and events, as featured in the Cruise Compass. The Royal Caribbean is a great way to experience cruising, in which you get one temporary home, but you get to visit multiple destinations in one trip. Sound like something you’re ready to try? Set sail, and brave those waters for your next adventure!